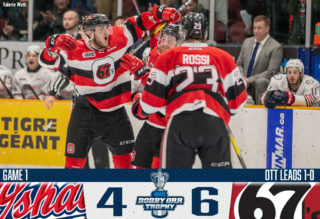 Toronto, ON – The Ontario Hockey League today announced the results of the Eastern and Western Conference Coaches Polls for the 2015-16 OHL regular season. 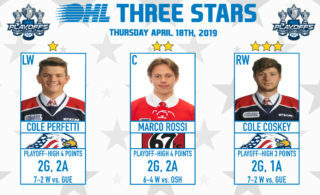 In the Eastern Conference, the Central Division champion Barrie Colts lead the way with eight players represented across 16 of the 20 different categories highlighted by Calgary Flames prospect Andrew Mangiapane who was named Most Underrated, Best Skater, and Best Shootout Shooter. Fellow Colt and OHL top scorer Kevin Labanc, a San Jose Sharks prospect, appeared in five categories finishing first in Best Playmaker, and Best Penalty Killer. The East Division champion Kingston Frontenacs finished second in team voting with six different players appearing in 12 different categories including Jeremy Helvig (Most Improved), Spencer Watson (Most Dangerous in the Goal Area), Lawson Crouse (Best Body Checker), and Roland McKeown (Best Defensive Defenceman) finishing first. North Bay Battalion captain Mike Amadio was the top individual winner by appearing in the Top-3 in seven different categories. The Los Angeles Kings prospect finished first in four different categories including Smartest Player, Hardest Worker, Best Shot, Best Defensive Forward. Other multiple category winners in the Eastern Conference include Niagara IceDogs goaltender Alex Nedeljkovic who tied for first in the Best Puck Handling Goalie vote, and Best Shootout Goalie category. Fellow IceDog Josh Ho-Sang was named Best Stickhandler for the second straight season. In the Western Conference, the Erie Otters lead the way with seven players represented in 12 of the 20 categories including a league-high nine first place votes. Arizona Coyotes prospect Dylan Strome is the Conference’s top individual winner leading the way in three different areas including Smartest Player, Best on Face-Offs, and Best Shootout Shooter. 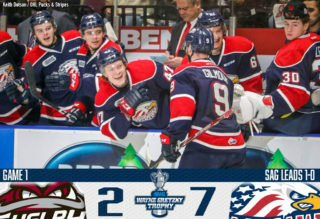 2016 NHL Draft prospect Alex DeBrincat was also one of seven Otters to earn first place recognition earning Most Dangerous in the Goal Area accolades for the second straight season. 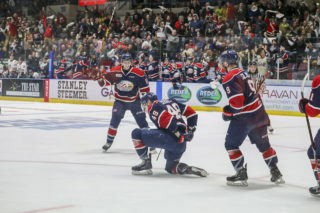 The Midwest Division’s Kitchener Rangers and London Knights also factored heavily into Western Conference voting. Seven different Rangers appeared in 11 different categories, while six different Knights were spread across nine different categories. 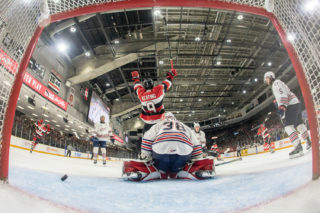 Most notably, the Rangers’ Adam Mascherin was listed in four categories receiving first place in Best Shot, while Toronto Maple Leafs prospect Mitch Marner headlined the Knights’ representation winning Best Playmaker and Best Stickhandler after appearing among the Top-3 in both categories last season. New York Rangers prospect Brandon Halverson of the Sault Ste. 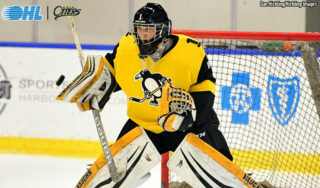 Marie Greyhounds is the league’s only three-time winner earning Best Puck Handling Goalie recognition for the third consecutive season. The Coaches Poll is tabulated when each team submits one nominee per category, and coaches then vote for the top three players for each category within their conference. Players receive five points for a first place vote, three points for a second place vote, and one point for a third place vote. Clubs are not permitted to vote for players from their own team allowing for a maximum of 45 possible points for each winner. This season all 20 OHL clubs are represented in at least one category.